Westmeath manager Jack Cooney celebrates with James Dolan. ©INPHO/Oisin Keniry. 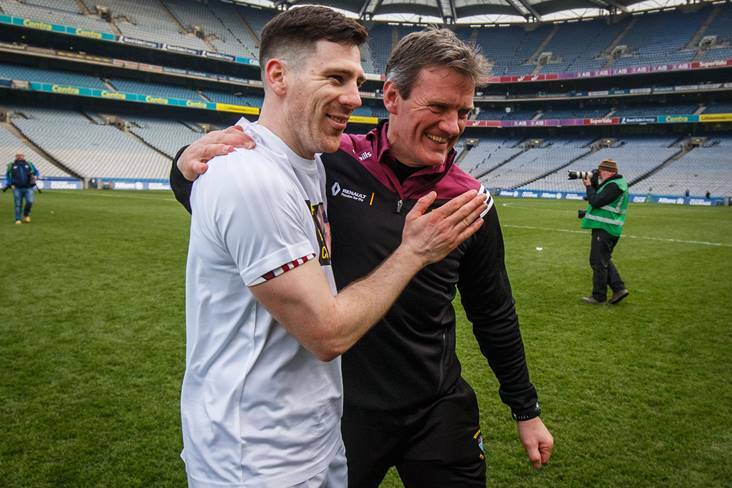 The sides have met twice this year already with Westmeath coming out on top on both occasions, including last Saturday’s FL3 final win at Croke Park. Nonetheless, Dolan told the Westmeath Independent that doesn’t mean they can rest on their laurels ahead of the provincial clash between the sides. “That’s the challenge for both teams,” said Dolan. 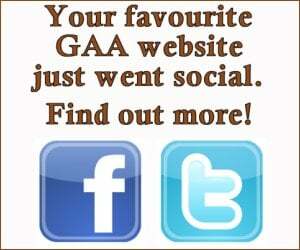 “We got the maximum we could out of the league and so did they. Now we have to meet again in the Leinster championship in a few weeks’ time and we’ll be trying to get one-up on each other again.